In twenty-nine innovative essays, The Poem’s Country: Place & Poetic Practice considers how the question of place shapes contemporary poetry. Responding from cities and rural communities across the United States, the contributors of The Poem’s Country thoughtfully and passionately explore issues of politics, personal identity, ecology, the Internet, war, sexuality, faith, and the imagination. 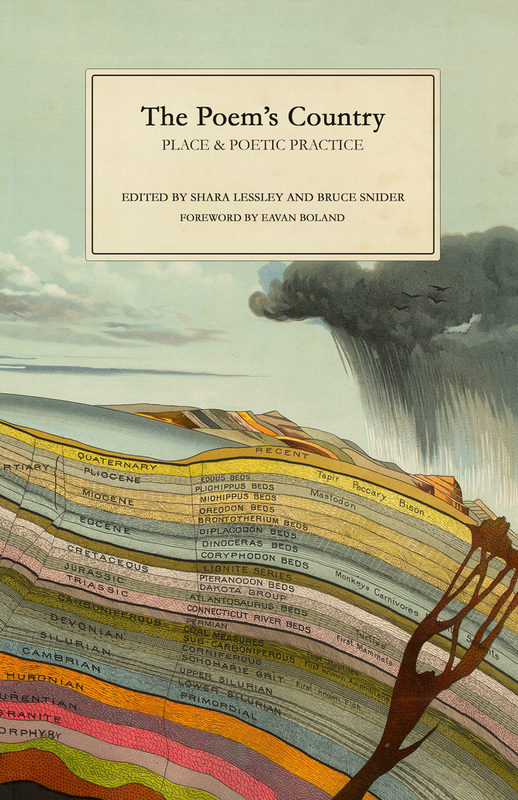 Essential reading for students of poetry at every level, The Poem’s Country examines the connection between lyric and geographical constraint, as well as how place challenges, enchants, and helps clarify the intersections between language and the world. With essays by: Kazim Ali, Nicky Beer, Eavan Boland, Elizabeth Bradfield, Abigail Chabitnoy, Hayan Charara, Katy Didden, Jehanne Dubrow, Keith Ekiss, Rigoberto González, James Allen Hall, Amaud Jamaul Johnson, Janine Joseph, Joan Naviyuk Kane, Christopher Kempf, Nick Lantz, Shara Lessley, Sandra Lim, Sabrina Orah Mark, Shane McCrae, Molly McCully Brown, Philip Metres, Wayne Miller, Craig Santos Perez, Emilia Phillips, Spencer Reece, Bruce Snider, Peter Streckfus, Mark Wunderlich, and Monica Youn. This remarkable and exciting gathering of prose on contemporary poetry is international and generational at once—this is important because it represents the imaginations and insights of emerging poets writing across a spectrum of taste, “place and poetic practice.” Yet the critical nature of the writing is more testimony than theory, more personal than panoramic, which means that the individual essays are that much more alive, more in touch, and more unique. Overall, The Poem’s Country resists tradition even more than it replaces it. The Poem’s Country demonstrates that poetry isn’t limited to the landscapes we inhabit but by the scope of the imagination itself. In these ravishing essays, the next generation of poets explores the influence of place on contemporary poetry, and a diverse reimagining of place emerges that both grounds and lifts us up.